Amateur sewers test their sewing and dressmaking skills. The contestants make an A-line dress, alter a high street top and create a made-to-measure dress under the clock. Claudia Winkleman presents a series from the makers of The Great British Bake Off in which eight hopefuls are tested on their sewing and dressmaking skills as they compete to be crowned Britain's best amateur sewer. Over three challenges, they must follow a simple pattern for an A-line skirt, transform a high street top by altering the neckline and produce a made-to-measure dress for a model under intense time pressure. The judges, May Martin from the Women's Institute and Savile Row's Patrick Grant, scrutinise every stitch as they look out for puckering seam lines and perfect top stitching. One sewer is awarded garment of the week whilst two leave the Sewing Bee. Are you a dab hand with a dart or great with a godet? Why not put your skills to the test? 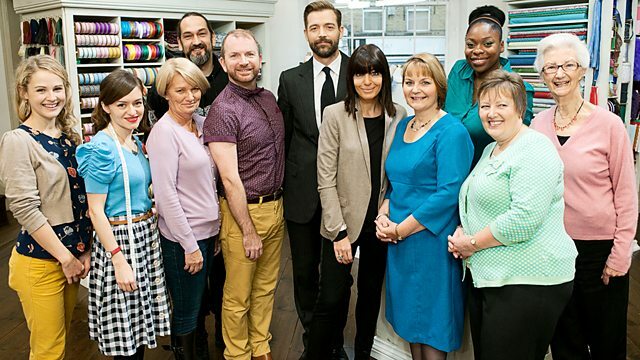 10 new contestants will compete for the Sewing Bee title - find out all about them.